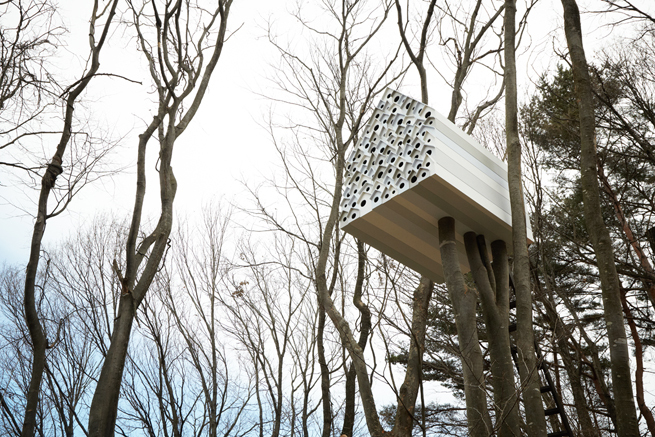 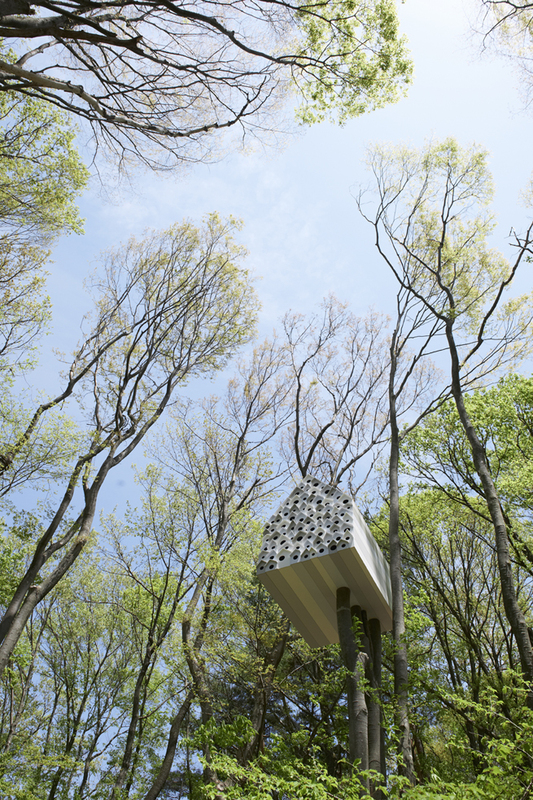 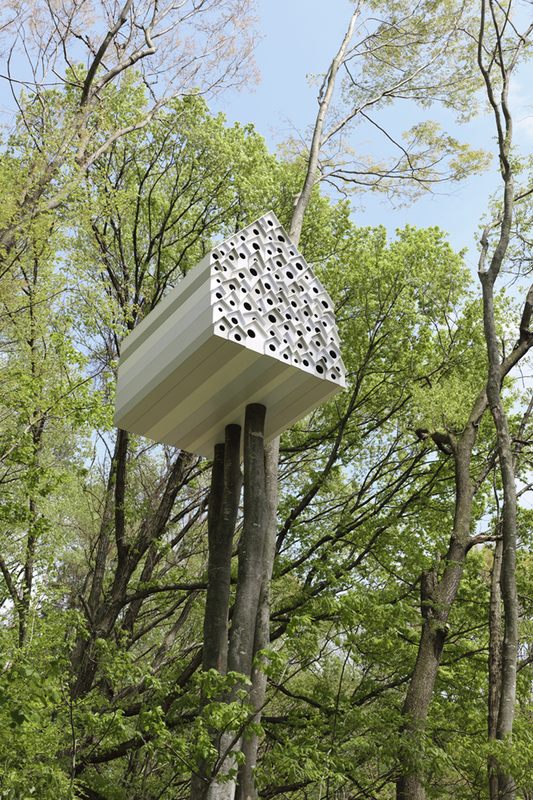 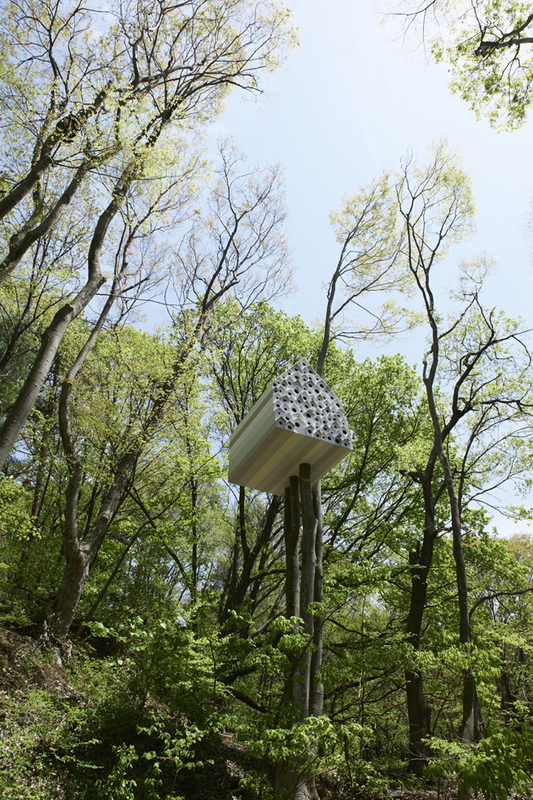 A treehouse designed for the Ando Momofuku Center, a facility devoted to promoting and increasing access to nature activities. 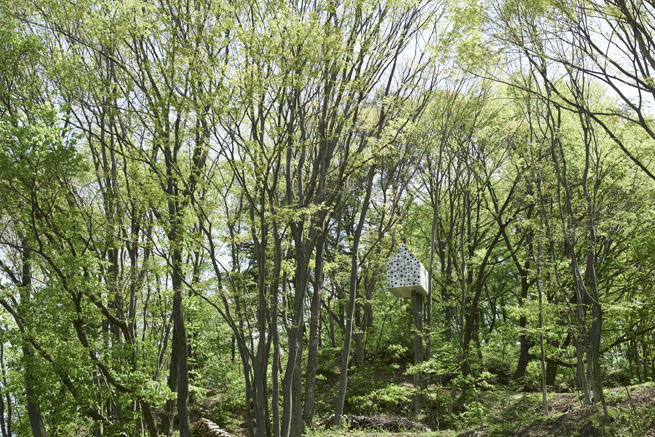 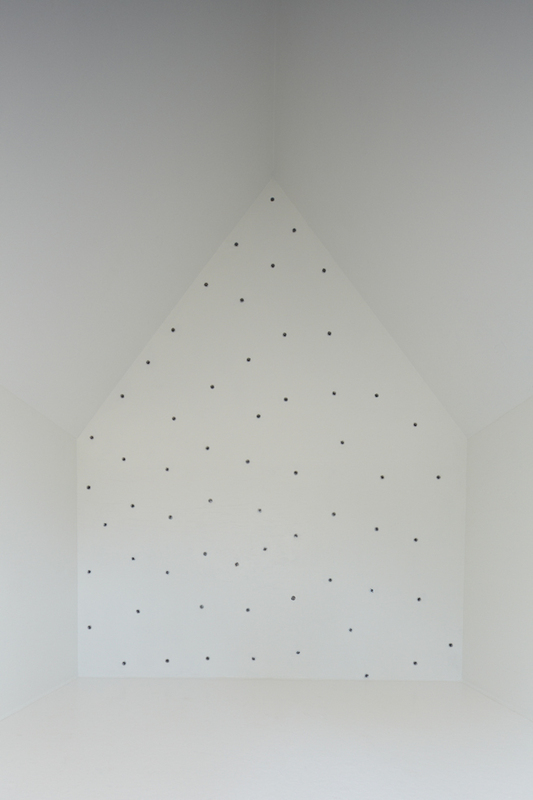 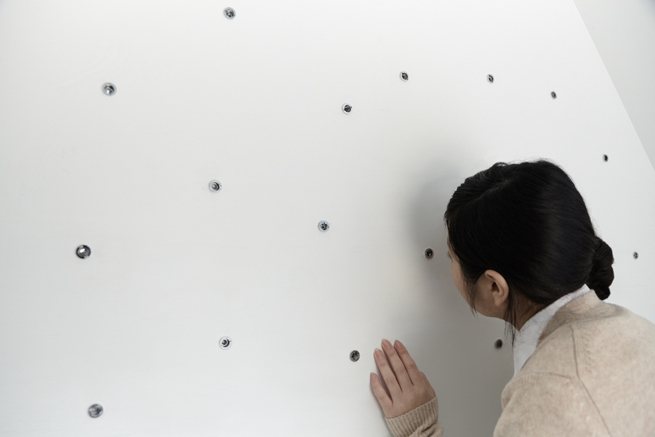 The facility is located in a forest in Komoro City in Japan’s mountainous Nagano Prefecture. 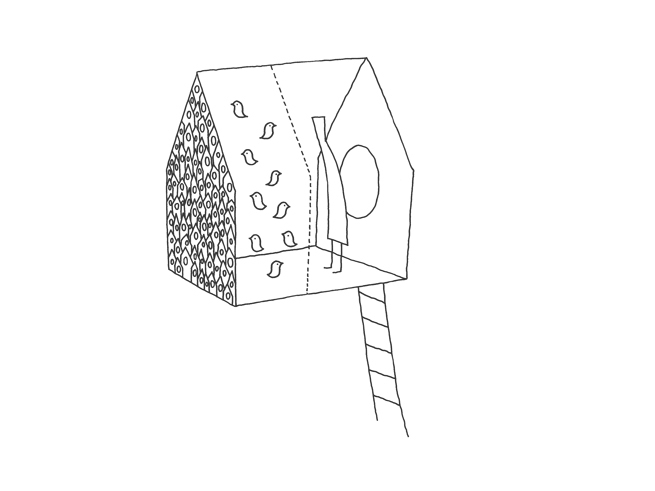 Our treehouse is collective housing for many birds and one person. 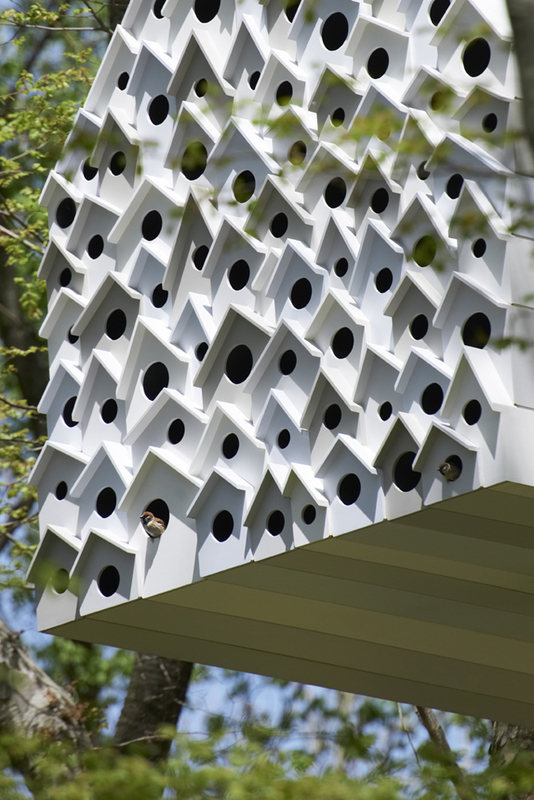 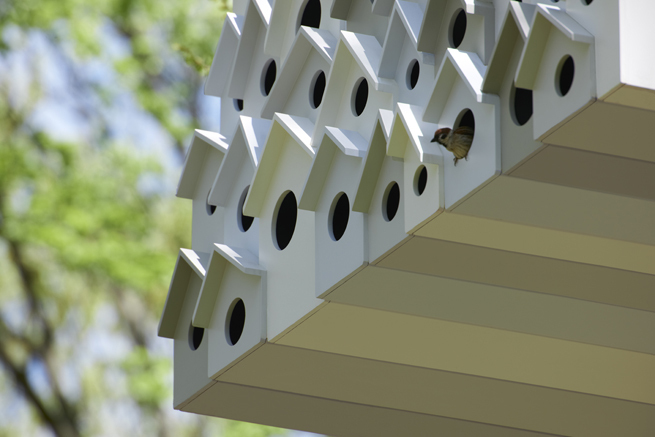 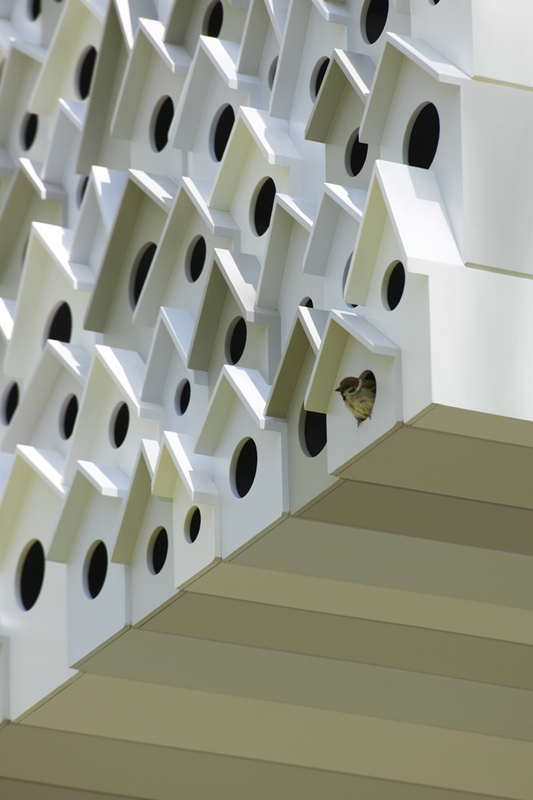 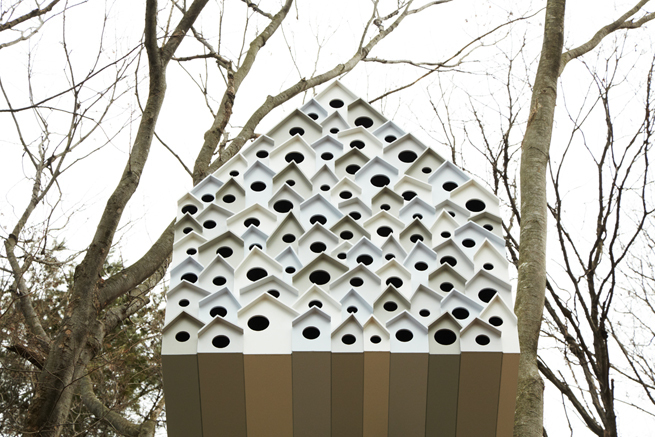 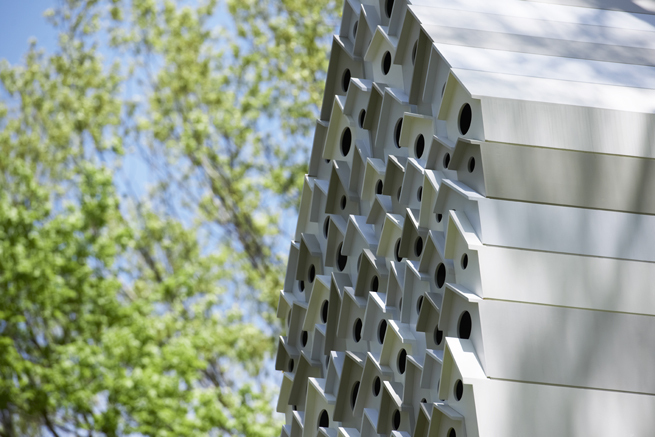 On one side, the treehouse has entrances to 78 nest spaces for birds. 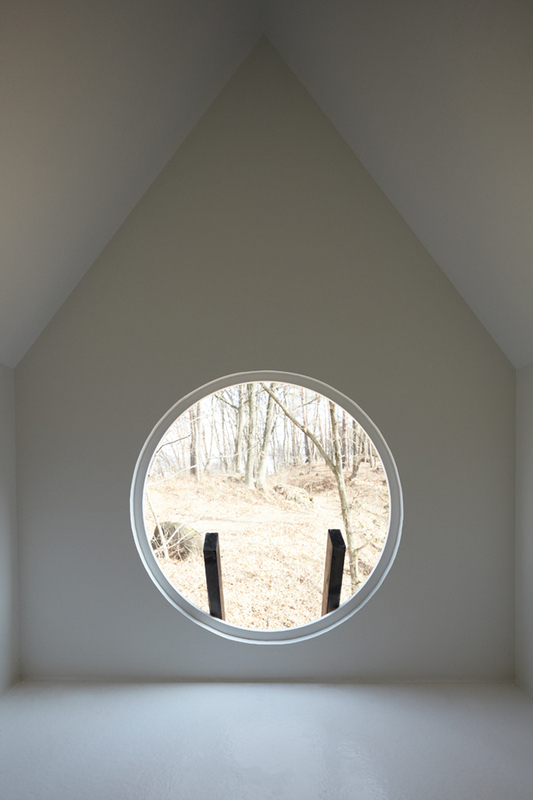 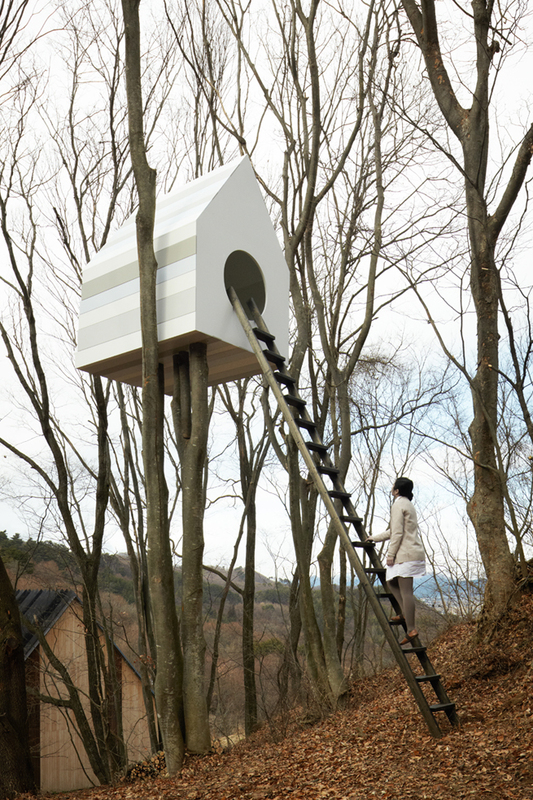 The other side has an entrance for one person, who can look into the birds’ nests from inside the treehouse.